Assuming apocalyptic doomsday predictions from South America don’t come to fruition, 2012 is poised to be a different kind of year for Apple. In 2011, the company rolled out significant updates to most of its products—including two major new operating system versions—and also introduced a new Web platform to glue all of its devices and platforms together. But the company also lost its most significant figure, Steve Jobs, and had a new man officially take the reins of the company. Given all of that, it would seem that 2012 might have to be a quiet year by comparison. But Apple’s not the kind of company to stand still. So what might it have in store for the year to come? Of all Apple’s product lines, the Mac underwent perhaps the fewest significant changes in 2011. But there were some updates and trends that will likely spread through the Mac line in 2012. With the success of the MacBook Air and the discontinuation of the polycarbonate MacBook line, expect to see a continuing shift toward the rest of Apple’s portables resembling the svelte, lightweight laptop. Apple has always pushed the envelope in making its portables thinner and lighter, and the difference between a 13-inch MacBook Air and a 13-inch MacBook Pro is stunning—just try holding one in each hand. You might ask where one would fit the multitude of ports that the MacBook Pro line boasts were it to adopt the Air’s form factor? Thankfully, 2011 brought another advance that I think we’ll see Apple push more strongly in the coming year: Thunderbolt. While the high-speed peripheral interface hasn’t gained a lot of steam quite yet, the attraction of having all your devices require only a single connector may be too powerful to resist. And with Apple’s Thunderbolt Display, all those other ports can be just a step away. The proliferation of Thunderbolt won’t necessarily be a direct push from Apple to consumers, but behind the scenes, I’m sure the company is trying to get third parties to adopt the technology. But Apple could hasten that process along by making Thunderbolt the go-to port for high-speed connections, as it has on the MacBook Air. Both the iMac and the Mac mini received solid if less-than-spectacular overhauls in the past year; though they’re likely to receive speed bumps in 2012, it seems unlikely that they’ll be significantly revamped, especially as the Mac product mix is overwhelmingly tilted toward portable sales at present. And then there’s the Mac Pro, the last update to which was in August 2010. Has it not been updated because there hasn’t been significant customer demand? Or has there not been customer demand because it hasn’t been updated? My guess: More and more professionals are finding that they can get by with an iMac or a MacBook Pro, so the compulsion to pick up a Mac Pro has dwindled. But Apple hasn’t killed it off quite yet, in the same way that it can’t quite bring itself to off the iPod classic—there are still some customers out there. That said, if you look at the four Mac Pro models that Apple has released since the introduction of the desktop in August 2006, there’s always more than a year between revisions. 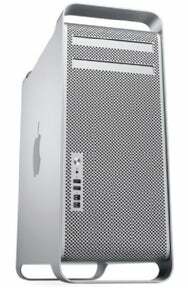 So expect a speed bump for the Mac Pro this year, along with the addition of Thunderbolt, to appease the pro market. One other change that’s likely to continue spreading across the Mac line in 2012? Solid state storage. It’s not right for everybody—especially those who need a lot of storage—but for most casual users the gain in performance and weight and the lack of moving parts make it an acceptable tradeoff. Laptops in particular benefit from SSDs, for portability and power reasons—after all, there’s a reason that the iPod classic is the last of Apple’s handheld devices to depend on a conventional hard disk. On the software side, don’t expect to hear anything about the next version of Mac OS X (Domestic House Cat?) until late in the year; the company’s been clear that the Mac operating system is a mature product; as a result, there’s more time between its major releases. Rather than tout the next OS X update at WWDC, I think we might see it in a dedicated Mac event in the fall, as we did with Lion in October 2010—but even if that happens, the update still won’t ship until 2013. Many a tech pundit cried foul when Apple didn’t release an iPhone 5 this fall, but consumers didn’t care: They snapped up the iPhone 4S with little complaint. Now that we’ve seen Apple release five different iPhone models, a pattern has begun to emerge. So, will the rumored iPhone 5 appear this year? Were I a betting man, I’d lay down some money on the likelihood. As for what improvements such an iPhone might bring, the obvious ones include a faster processor (the A6, perhaps? ), more memory, and an improved camera. More of a longshot is some sort of system that lets you pay directly from your iPhone—I don’t think it’s particularly likely this year, but I do think it’s a field Apple will get into at some point, especially if rival ventures—like Google Wallet—start to catch on. And, of course, the iPhone 5 will probably come in a new form factor, which ought to appease all those who complained about the iPhone 4S looking just like an iPhone 4. Relax, tech snobs: All your enemies—and friends—will be able to tell that you’ve got the latest and greatest smartphone. The new year will probably also bring the next version of Apple’s mobile OS, iOS 6. I think we’ll at long last see the traffic system that Apple hinted at back in April, which will probably go hand-in-hand with a significant revamp to Maps. I’d expect mapping and location to be a cornerstone of iOS 6’s release, given that Apple has purchased multiple map-related companies in the last several years. In addition, the company’s relationship with Google has deteriorated to the point where Apple probably doesn’t like the idea of having such a major feature in the hands of a rival—especially when it could be driving the development itself. As part of that, I’d bet on built-in turn-by-turn directions finally making an appearance in Apple’s mobile operating system—definitely for phones that have Siri, and maybe for the last generation or two as well. Speaking of Siri, I wouldn’t be shocked to see Apple’s intelligent assistant make its way to the iPhone 4—we’ve seen from jailbreak experiments that it will run on the hardware if Apple will let it. It might be as part of iOS 6, or it might be an iOS 5 update. It’s also likely to gain support for more languages, and hopefully a few more capabilities to boot. Given that I’ve already predicted a new OS X version won’t bow until 2012, iOS 6 will probably be the centerpiece of Apple’s Worldwide Developers Conference in 2012. But as in 2011, I think the release itself won’t appear until fall. iOS is maturing, and as such, I think Apple will follow the pattern it set with Mac OS X and release major updates less frequently. Even with the release of the Kindle Fire, the iPad still holds the pole position in the tablet market. But Apple’s not likely to rest on its laurels; I’d expect an iPad 3 to surface no later than the spring. In terms of what the iPad 3 looks like, I think Apple may follow the iPhone’s lead here: I’d guess the iPad 3 will use the same form factor as the iPad 2, but feature a Retina display that doubles the iPad’s resolution to 2048-by-1536 pixels. The company might also beef up the iPad’s cameras—I’d certainly like them to improve the front-facing camera to HD quality for better video chatting. Under the hood I’d expect more radical changes—if the next iPhone does indeed sport an Apple A6 processor, expect it to debut here first. More RAM seems likely as well. 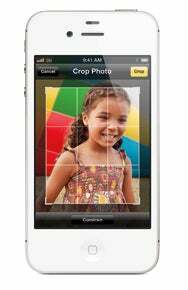 And now that Apple’s made a deal with Sprint for the iPhone, I’d bet that a Sprint-branded 3G iPad can’t be far behind. In terms of software capabilities, I’d wager that Siri will appear on a new iPad, and perhaps as an update to the iPad 2 as well. As for the constant rumors of a 7-inch iPad, I don’t put much faith in it. I think it more likely that Apple will once again follow the pattern of the iPhone, keeping the existing iPad 2 around as a lower cost model while the iPad 3 debuts with the iPad 2’s current price tag. The current Apple TV is an underrated product in my opinion. Between its AirPlay capabilities, its links to popular online services such as Netflix, and its integration with the iTunes Store, it’s a great living room portal for content. As such, I’d hope to see the company expand it with even more deals this year—in particular, support for Hulu Plus would be a welcome addition, though Apple might see that as cutting too much into iTunes’s TV markets. But the big question on everybody’s mind, thanks to a tantalizing tidbit from Walter Isaacson’s biography of Steve Jobs, is an Apple television set. Since Isaacson quoted Jobs as saying that he had “cracked” the user interface for an Apple television, rumors have cropped up almost as persistently as in the lead-up to the release of the first iPhone. To me, this product is the wildcard in Apple’s line-up for 2012. On the one hand, I find it hard to imagine what an Apple television would bring that the Apple TV doesn’t; on the other hand, I have enough experience with Apple to know that should the company release such a device I’d probably quickly wonder how I ever lived without it. And, if there’s one thing consumers love more than their phones—especially here in the U.S.—it’s their TVs. Whether Apple likes it or not, the company has now become a significant provider of online services. Between the App Store, the Mac App Store, the iTunes Store, iTunes Match, and iCloud, the Apple online ecosystem has expanded to encompass all of Apple’s product lines. Of those services, expect to see the most changes in iCloud next year. 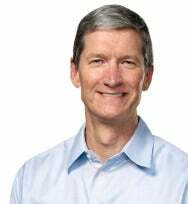 Apple rolled out its everything-and-the-kitchen-sink offering late in 2011, and there are plenty of rough edges to sand down. For one thing, despite the touted idea of having all your data on all of your devices, the Mac still lags behind on the ability to sync documents to other Macs or iOS devices. I’d guess that an update to iWork or OS X will bring a better way to sync that information, as well as hopefully smoothing out some of the iCloud ruffles we’ve encountered since its launch. It will also be interesting to find out just how well the adoption of iTunes Match is proceeding, if Apple actually chooses to release any numbers on it during one of its financial conference calls. Meanwhile, the company is sure to continue expanding the service’s reach abroad, as well as hopefully improving its database to make the matching process better. Finally, I’d expect to see the App Store continue its upward pace in apps and downloads, though I expect the former to slow gradually as the platform matures. On the Mac side, the Mac App Store will hopefully gain some of the features of its iOS counterpart, such as ability to gift apps and some social networking integration. While the loss of Steve Jobs was felt keenly throughout the Apple community, in some ways it will make the least difference to the operation of Apple as a company. Remember that while Jobs officially resigned as CEO in August of 2011, he had been on an indefinite leave of absence since January of this past year. Tim Cook has effectively been running the company for the past year, so don’t think that Cupertino is about to implode because Jobs is no longer with us. And keep in mind that Apple’s the kind of company that plans its roadmap out years in advance. So there are still products with the imprint of Steve Jobs that have yet to come down the pipe, not to mention a whole company of engineers, designers, and programmers that have been inculcated in Apple’s ethos. In short, expect the Apple of 2012 to look a lot like the Apple of 2011: smart, savvy, and, above all, successful.